I’m a married 36 37 38 year-old software engineer happily retired dude, residing in the suburbs of Boston, MA. I stumbled across the idea of FIRE in 2002. This was shortly after the dot-com bust and employers were treating employees like slaves. I needed a dream, something that would carry me through the drudgery of 10+ hour working days full of unpleasant people, problems, and situations. Since then I’ve read tons of books on the subject, cut my living expenses, switched jobs a few times, gotten married, and saved, saved, saved. At this point I’m close to being FI, the main issue being the cost of my home. I consider myself to be one downsize away from achieving this goal. The target is spring 2015. Figuring out how to unplug from the matrix in a way that still leaves me connected to the people in my life that I love and care about. Creating a life that is lived in balance. Learning to recognize and appreciate the concept of having enough. Exercise. I run, I bike, I swim, I do things until it hurts. Things aren’t right unless I’ve been very active for at least an hour a day. I’m also a reforming computer and video-game nut. For the majority of my life I’ve dumped most of my (limited) free time into this bucket. But since hitting thirty or so, instead of playing games, I mostly just follow the industry and read reviews. I think of myself as a meta-gamer now. Being a real hands-on gamer takes way too much time and doesn’t provide the emotional ROI to make it worthwhile. Other junk: I’m an avid reader of blogs, comics, graphic novels, fiction, and nonfiction. Most of the non-fiction that interests me consists of how-to instructional manuals, like The Millionaire Next Door and The Gym Bible. Occasionally, I write and draw. I cook, I clean, I listen to friends and family, I socialize and sympathize: I’m the very model of a modern male man, other than my frugality and anti-consumerism ideals. Oh, one other thing. It’s worth noting that, workplace stress and politics aside, I don’t particularly care for what I do. I’m responsible enough. I perform my job contentiously and receive perfectly good annual reviews. I just don’t believe that my function adds a lot of value to the world. After 14 years in the industry, the thrill is gone, completely kicked the bucket. Time of death: Sometime back in 2003, after just three years in the field. The most well-known financial independence / retire early blogs out there are probably Mr. Money Mustache and Early Retirement Extreme. At least, those are the guys I read the most of. By the time I found those sites, I was already well along in my journey to Financial Independence. Although I find those (and all) saving and investing blogs to be inspiring in one way or another, they didn’t put me on this path, and they don’t keep me there. They just make the walk more pleasant. Everyone’s trip down this rabbit hole is a little different, and mine is no exception. I figured it might be interesting and fun to put my own perspective out there. Three big differences between this blog and MMM/EEE. 1) I want to document pieces of my experiences in the working world. I’m planning on leaving it behind in about a year when I finally leave my industry. The pain and frustration needs to be on the page, as a reminder of what I’m discarding in life. I really don’t think it’ll be much of a loss. 2) I will occasionally throw financial advice into the posts. However I’m not all that interested in going into the details of Finance 101. This blog sort of assumes you have the basics down, that you are debt free (or close) and either already investing or ready to invest. There’s already an abundance of terrific blogs to help you if you’re in the very early stages of wanting to get out of debt, and you might be better served by simply reading Mr. Money Mustache and Early Retirement Extreme directly. I don’t want to reinvent the wheel. 3) I don’t consider myself to be as extreme as the guys who run either of those sites. It’s just a fact. Consider: My spend rate is about 24K/yr for me and only me. MMM’s spend rate is 24K/yr for his entire family. 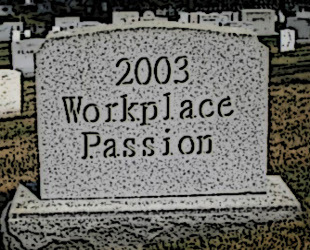 Working or the work environment, since that is what we all must cope with on our journey, and I never want to forget how disappointing the experience has been. Struggles which are unique to people who are considering going against the grain and saving most of their income instead of spending it. What Comes Next-type considerations, i.e. thinking about how to occupy my time after the corporate-slave portion of my existence has been completed. Backstory – Personal journal-style entries relating to my own experiences with money. “Past” style stories. FutureLife – Issues or challenges I’m having mapping out the future.